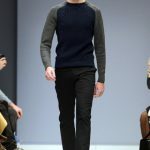 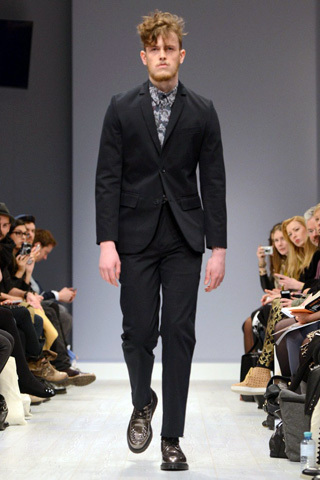 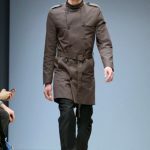 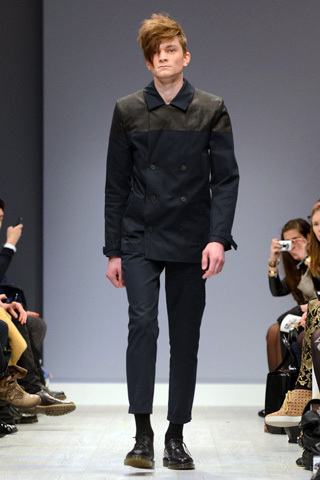 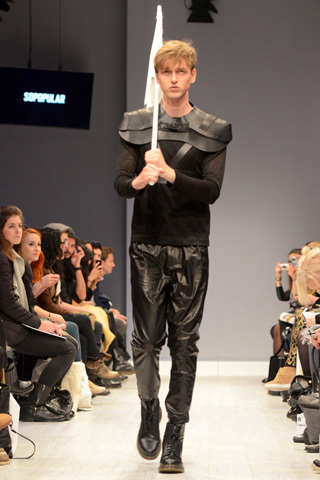 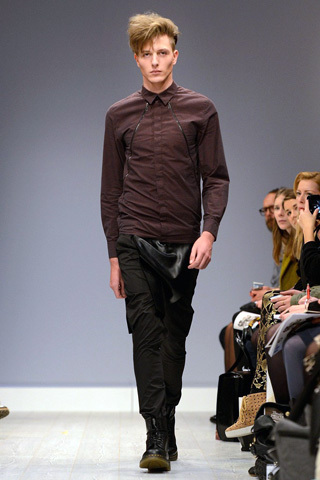 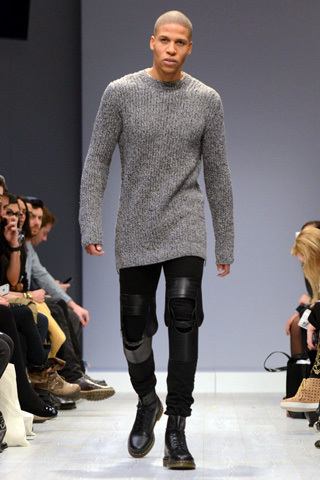 Under the title "X" the Berlin menswear label presented SOPOPULAR yesterday its collection for Fall / Winter 2014 Mercedes Benz Fashion Week Berlin. 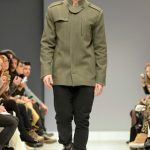 X marked the spot on a billowing flag that heralded the start of Daniel Blechman’s “War and Peace”-themed Sopopular show. 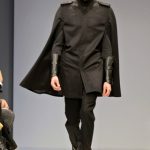 Epaulets topped off a green wool jacket and also appeared on the shoulders of a gray cape that was toughened up with leather wrist cuffs. 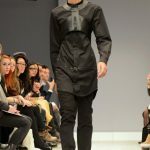 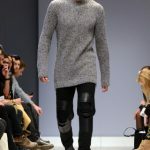 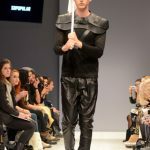 Buckled leather breast plates, knee pads and even a neck brace were paired with more refined items such as fitted cotton shirts with raglan sleeves and slim pants. 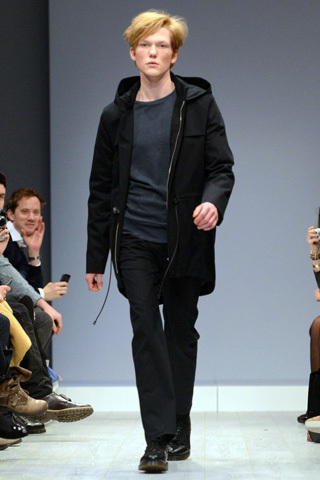 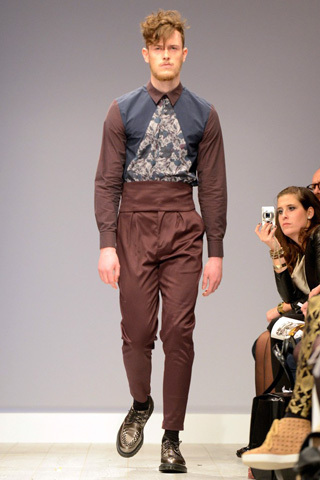 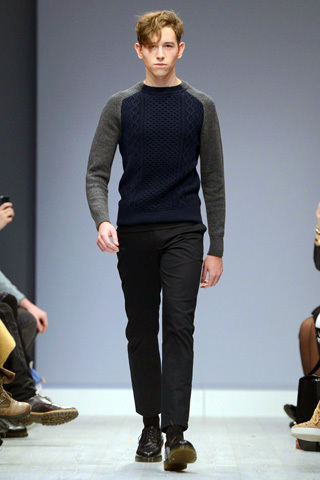 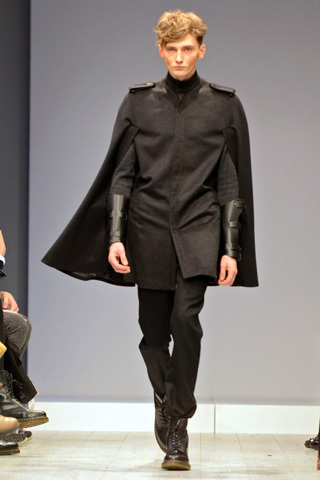 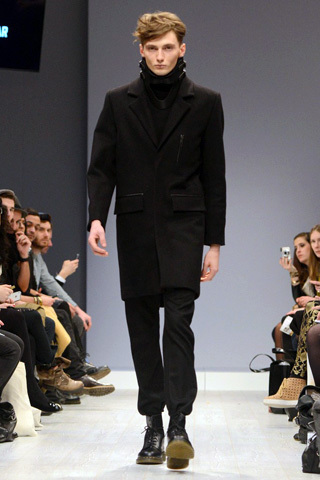 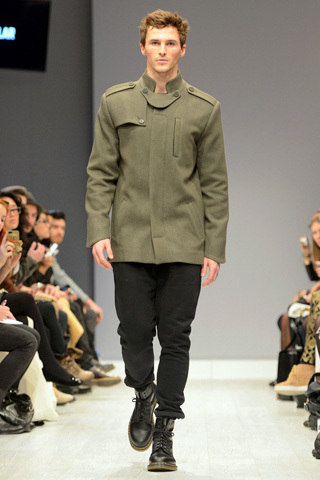 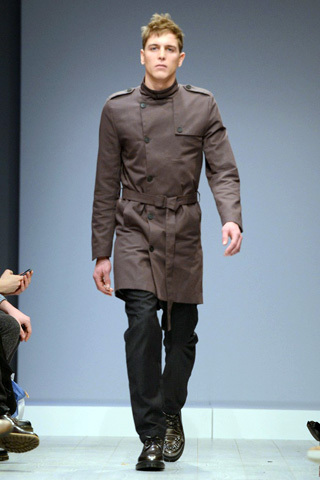 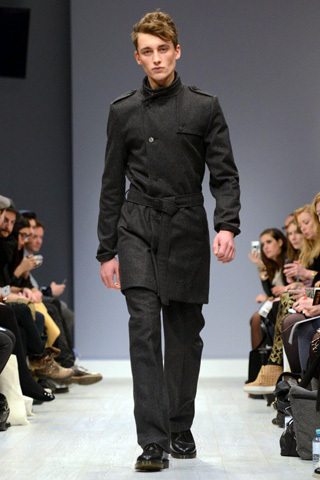 Blechman’s slim “neo-trench” with a high collar was a highlight, as was a mottled gray, chunky knit sweater worn with skinny cigarette pants. 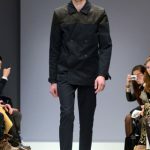 The label’s streetwear roots were referenced in loose leather pants, zip detailing on the backs of jackets and, of course, a pumping hip-hop soundtrack.